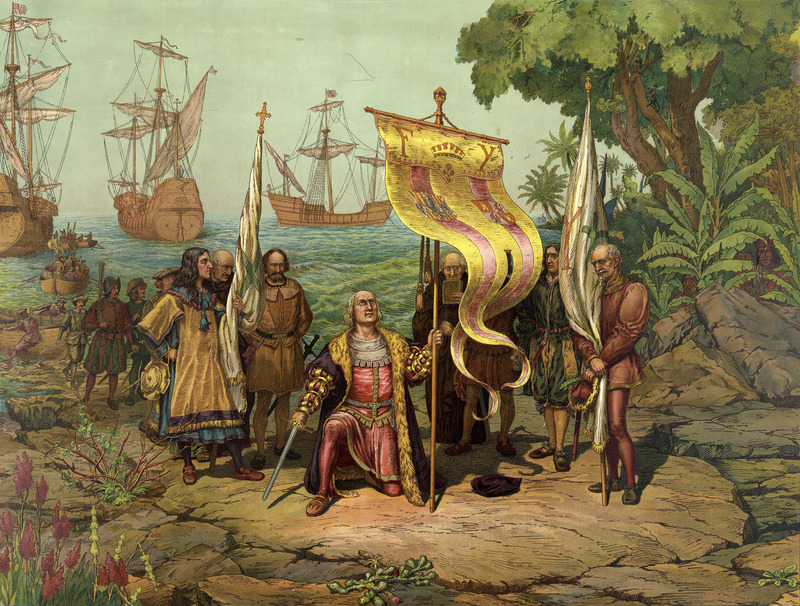 Columbus’ arrival started the genocide of indigenous peoples. A new report says that the “Little Ice Age” that occurred in the 1600s resulted from the Native American genocide that followed Christopher Columbus and the arrival of European settlers, according a story published by CNN today. Carbon levels changed enough to cool the Earth by 1610, researchers found. Click on the link for more details. Here’s another version from the BBC. Lamar Advertising had put up the Lincoln sign on a billboard just up the street from the American Indian Community Housing Organization. 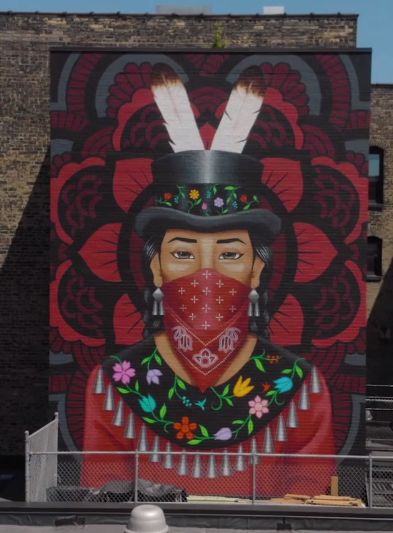 It was directly in front of the mural of a Native American woman and “water protector” that covers an entire side of the organization’s brick building. For some, that was an offensive juxtaposition: On Dec. 26, 1862, as the U.S.-Dakota War was ending, Lincoln ordered 38 Dakota men to be hanged in Mankato, Minn.
More than 300 Dakota men were convicted and sentenced to death in brief sham trials. Lincoln commuted of 264 of them but allowed 38 men to be hung, in what is the largest mass execution in U.S. history. Click on the link above for more details.